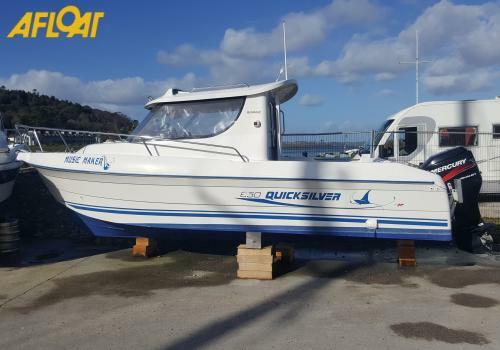 This 2003 Quicksilver 650 Weekend (commissioned in 2004) is in very good condition and has been well maintained. 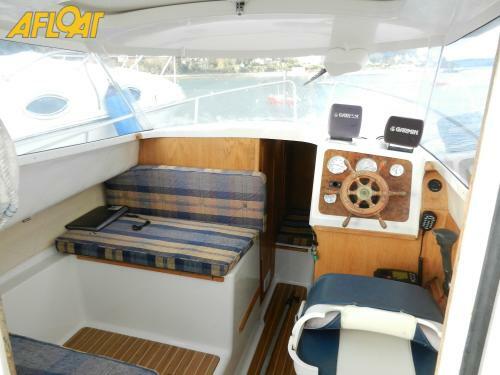 She comes with a Mercury 115HP four stroke outboard engine, three/four berths, chemical toilet in a separate compartment, saloon seating, cockpit seating with cushions, chartplotter, fishfinder, VHF and more. 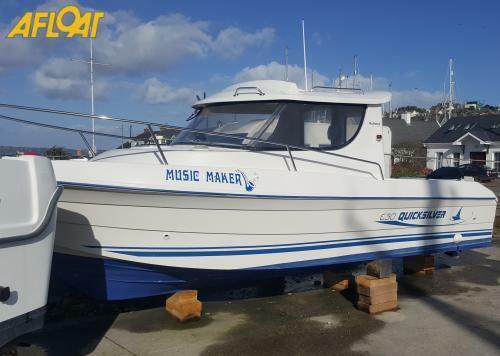 She is ideal for family cruising and fishing. Motor yachts and cruisers are ideal for coastal cruising or navigating Ireland's large rivers and lakes. Since the late 90s there has huge growth in this type of boating in Ireland. Motor cruisers or motor yachts are ideal for family holidays, ocean passaging and indeed they are now so comfortable many people just enjoy spending time onboard without ever leaving the marina! Most newer motor cruisers are faster than older models because of improved aerodynamic and hydrodynamic designs. 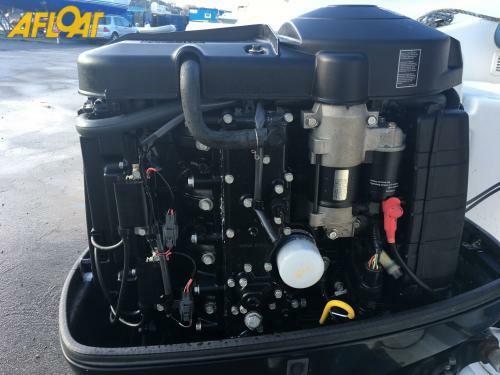 Motor cruisers are generally able to handle the water well because of their size and give a stable ride. They are generally spacious in the cockpit (open seating area towards at aft or centre). 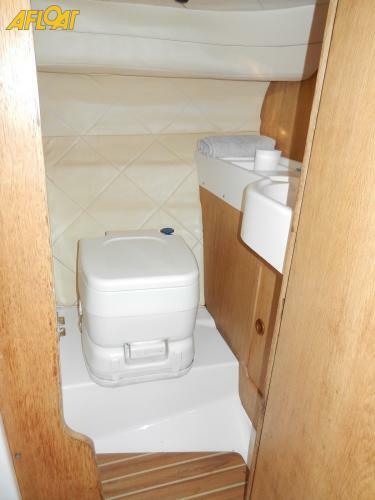 These craft are generally equipped with a head (toilet), a galley and at least one berth. Most motor cruisers usually have a small dining area and some have an aft cabin (a cabin to the rear of the cockpit, with a double bed) Some cabin cruisers are equipped with heating, air conditioning, and power generators so it is possible to live onboard for extended periods. Most also have water heaters and shore power electric systems. The motor cruiser provides many of the amenities of larger yachts, while costing much less and normally being fully operable by the owner, whereas larger yachts often require a professional crew. Motor boats generally fall in to three categories: Planing Boats displacement boats and Semi-displacement boats, the latter offering the best of both worlds speed and stability. There are many different types and styles of motor cruiser with the Sedan bridge style featuring ample deck space and swim platforms, with a helm in the cabin and on the fly bridge offering driving options for sunny and rainy days. Motor yachts have larger indoor salons and sleeping berths. There are other style motor cruisers too including trawler yachts, and sports fishing boats. Some of the most popular motor cruiser models used in Ireland are: Aquador, Hardy, Sunseeker, Fairline, Princess, Sealine, Beneteau Ombrine, Azimut, Cranchi, Beneteau Swift Trawler, Aquastar, Sea Ray 255 Sundancer, Beneteau Antares, Nimbus, Nelson, Trader, Monterey, Sessa, Galeon, Nordwest, Mitchell, Bella, Drago. There are some types of motor cruisers more suited to Ireland's lakes and rivers although many are seagoing too. 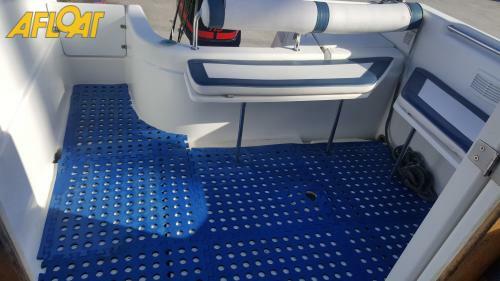 Some examples are Broom, Birchwood, Pikmeer, Neptunus, Kempala, Super Van Craft, Linssen, Vri-Jon, Haines and Molenkruiser.